Need more information about booking Home 9027298 ? Beauty of Nature SLEEPS A MAXIMUM OF 8 (EIGHT) ADULTS AND A MAXIMUM OF 3 (THREE ADDITIONAL CHILDREN UNDER 16 YEARS OLD. 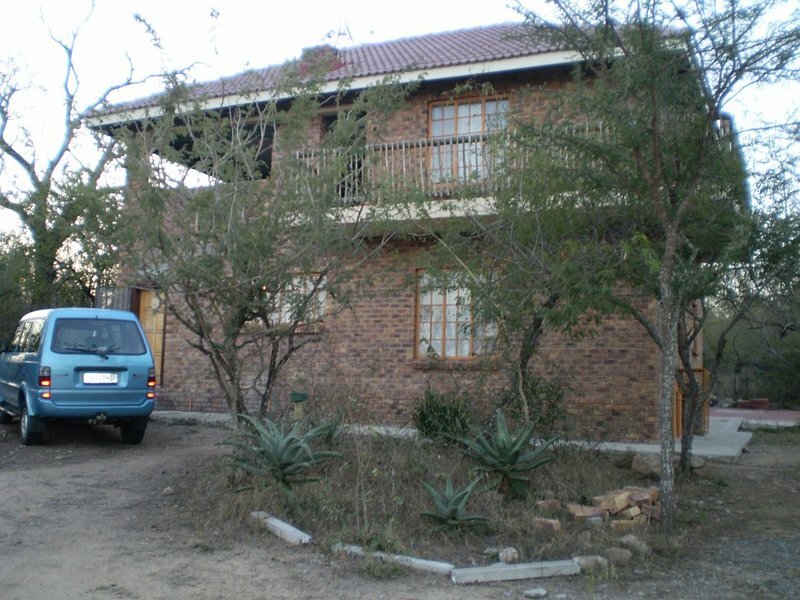 It is a fully furnished, self-catering house situated on the main tar road and close to the Eastern exit towards the Crocodile River Gate access to the Kruger National Park (Approx 10 Km). A car is necessary preferably with a standard (25mm) or greater ride height. as most of the roads in Marloth Park are gravel roads. It must be a vehicle that encloses all occupants if you are going to visit the Kruger National Park whose entrance is around 15Km away. Some of the lodges provide game drives, night and day drives, game fishing and walking trails through the nearby game reserves. Details on request.. Cycling and walking are permitted in the conservancy during daylight hours. Walking and cycling at night are discouraged as predators have been known to enter Marloth park. (google "Kruger lions in Marloth Park") fortunately only around once every seven years. On arrival, you will collect the keys from the caretaker. The house and the pool are yours to come and go as you like. Any problems and you can phone the caretakers and they will fix anything with a smile. When you leave, you put the waste in the special cage and drop the keys off. There is a cleaner who will contact you and come and clean when you are available. 3) The animals may look tame but they are still wild animals. Treat them with care and respect. You can get in touch with Ray (the owner) through the contact form on this page. Send Ray (the owner) an email through the contact form on this page. Alternatively, if there’s a phone number on this page, you can call them. How do I contact Ray (the owner)? If you’ve already booked, go to Manage your holiday booking to view Ray the owner's contact details or send them a message. Or send Ray (the owner) an enquiry through the Contact the owner/manager form if you’d like a quote or more info first. When you pay online through the Book your stay form, a booking request is sent to Ray (the owner). You’ll find out within 24 hours whether they’ve accepted - no money will leave your account before then. You can also request a quote from Ray (the owner) through the contact form. The owner will email you the total cost for your dates and a link to book and pay online. Use the Book your stay form to pay provisionally online. You can pay by credit/debit card or PayPal. Ray (the owner) will have 24 hours to accept the booking and no money will leave your account before then. Why can't I call Ray (the owner) before booking? You’ll need to contact Ray (the owner) to do this. Send them a message in Manage your holiday booking or through the contact form on this page. You can request to change the dates or number of people on your booking via the Manage your holiday booking page. To change your holiday dates use the Edit booking button. If you need to change the number of guests staying then send Ray (the owner) a message. If Ray (the owner) agrees, they’ll send you a revised quote outlining the changes. You can review and accept/decline this from the Manage your holiday booking page. You’ll have 48 hours to take action before the revised quote expires.